Playing football can boost heart and bone health in untrained middle-aged and elderly people with prediabetes, a study has found. Researchers from University of Southern Denmark and the University of the Faroe Islands showed the positive effects of football on the cardiovascular and metabolic health profile. “Individuals with prediabetes and type 2 diabetes have a higher prevalence of osteopenia and bone fractures, so it is essential to develop treatment protocols for them,” said Magni Mohr, an associate professor at the University of Southern Denmark. “Our results show that football and dietary guidance are indeed an effective cocktail for improving bone health,” said Mohr. “The football group derived significant positive effects in the legs and clinically important femoral sites emphasising that football is effective osteogenic training for this participant group,” he said. DXA scans were used to evaluate the initial bone health of the participants as well as the training-induced effects, along with blood samples to determine plasma markers for bone turnover and bone formation. From these measurements, 73 per cent of the participants were diagnosed with femoral osteopenia and 24 per cent with femoral osteoporosis prior to the intervention. After 16 weeks of training, between-group changes in favour of football training were observed for bone mineral content of the femoral neck (3.2 per cent) and femoral shaft (2.5 per cent) as well as for bone mineral content (32 grammes). Plasma osteocalcin and P1NP were elevated in the football group by 23 and 52 per cent respectively, with greater changes than in the control group. “Football is a multipurpose sport that combines strength, endurance and high-intensity interval training, and this makes it a good tool for the prevention and treatment of type 2 diabetes and other lifestyle diseases,” said Peter Krustrup, a professor at the University of Southern Denmark. The 55-70-year old women and men participating in the present study had poor bone health, poor metabolic fitness and poor aerobic fitness. The combination of football training and dietary advice produced good results on all parameters, Krustrup said. 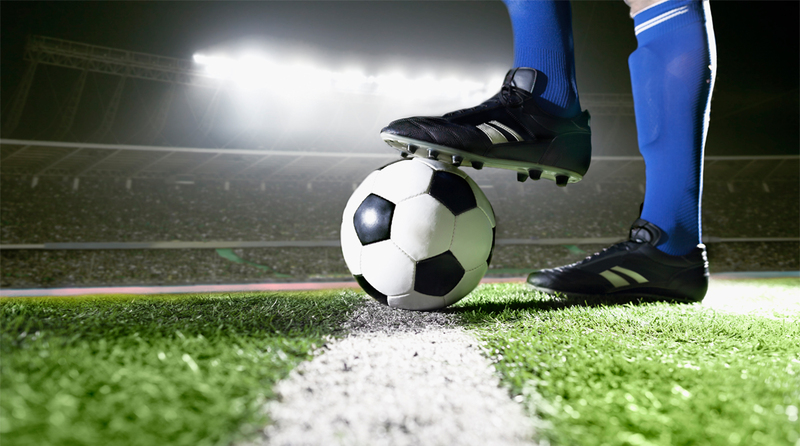 The idea of football for 60 and 70-year-old patients with poor bone health is new, but the present study revealed that a modified version of football, the so-called Football Fitness concept, was feasible and effective for the middle-aged and elderly patients. The participants took part in football training encompassing a thorough warm-up, ball drills in pairs and games on small pitches, and this type of football was observed to be suitable for 70-year-old women and men with poor bone health and prediabetes. The participants enjoyed the training and did not sustain any severe bone, joint or muscle injuries. “Normally, you wouldn’t think of football as something for 70-year-olds with low physical capacity or poor bone health, but we saw promising training effects and excellent attendance even though the training took place outdoors in winter time,” Mohr said. “The participants formed good relationships, had fun together and many of them have continued to play Football Fitness,” he said.